SMART DUST: People and computers living in perfect harmony? COMPUTERS have advanced so splendidly in the past few years that electricians are now able to make micro-computers the size of pinheads. The proposed applications for computers of this size range from modifying the weather to controlling the electrical infrastructure of large cities. Of course, it is wise to be wary of anything that is powerful and to analyse critically the potential of such technology before it involuntarily becomes an integral part of our lives. Smart dust is one particular brand of microcomputers that has been hailed as a society-changing element that will greatly improve and change the way we live our daily lives. Devised by Dr Kristofer Pister from the University of California in 2001, smart dust is able to gather information from its surrounding environment and send this to people or other computers. A smart dust particle or mote is a wireless sensor that has four basic functions — sensing, computation, communication and power — all built into one tiny package. With smart dust being so low powered and inexpensive, the idea is to spread it everywhere — in every building, on every street, in every electrical device and ultimately, in or on every human being. What smart dust is able to do is create a large invisible network that, in theory, would be able to manage the infrastructure of even the largest city in the world. Streets and buildings would be able to recognise people and respond accordingly. Workplaces would recognise employees and buzz you into the building. Smart dust could even send a lift to your floor and boot up your PC. Of course the major concern involves privacy. If all of this information about you is available and gathered by smart dust, who else has access to it? Smart dust would also allow certain people to know exactly where you are at all times and could quite easily turn on you and deny you freedom of movement and access. It may sound like something from a movie, but the amount of control that powerful people could have on the masses via smart dust is certainly something to be cautious of. What is a good idea is having smart dust monitor our roadways and transport systems. Smart dust scattered on the roads would be able to report potholes and traffic jams to commuters, and smart dust on the railways would be able to accurately report late trains in an instant. Bridges coated in smart dust would be able to report stress fractures, helping to avoid collapse and prevent disaster. The first smart dust particles created in 2001, which were about the size of a deck of playing cards. But do we want such fabric dispersed everywhere? Smart dust may be evolving to the microscopic level, but it is by no means undeniably safe. Several news reports were released in the past decade about a similar substance known as global environmental sensors (GEMS) that had been released into the atmosphere to monitor weather conditions. There was very little thought given to these electrical particles being inhaled once they descended to Earth, nor any given to the fact that several micro-organisms could ingest smart dust and die as a result. It almost seems worth having to boot up your work PC manually and save a termite population in the process. MANY fantasize about designing and building their dream home. If achieved, the feeling must be one of great pride and involvement. The sad reality is that building a house from scratch requires a whole team, and a group of wholesalers. For starters you would need an architect, electrician, a plumber, mechanical engineer and a surveyor, not to mention all the chain stores you would have to visit to furnish your new home. In the end, it may not feel like you were involved at all – apart from having dished out all the necessary funding. But what if you could play a bigger and cheaper role in your home’s creation? Of course it would be wise to get the professionals to assess the ground and foundations, but when it comes to furnishing and decorating, the power lies in 3D printing. Most homes are, after all, built from the inside-out. As jaw-dropping as it may sound, 3D printing is essentially the creation of solid three dimensional objects using a large oven-sized printer. Objects are “printed” by laying down successive layers of material. The “ink” generally consists of molten plastics, but the more hi-tech 3D printers are able to use workable metals such as nickel, bronze, titanium and stainless steel. Most 3D printing methods use melting or softening material to produce the layers. Others lay liquid materials that are then cured with other technologies. Some 3D printers can even reproduce themselves entirely. Since 2003 there has been large growth in the sale of 3D printers for industrial use, but they are now finding their way into consumers’ homes (at around R100 000). The technology is generally used in the fields of industrial design, engineering, construction, auto mechanics, and the dental and medical industries, and is also known as the “architect’s dream tool”. 3D printing is even used for creating jewellery and footwear prototypes before they are mass produced. One fantastic application is the use of 3D printing for reconstructing fossils in paleontology. Ancient and priceless artifacts can be replicated with flawless precision. As exciting, is the reconstruction of bones and body parts in the field of forensic pathology as well as the reconstruction of heavily damaged evidence acquired from crime scene investigations. Meanwhile in the biology department, 3D printing technology is currently being studied by biotechnology firms and academia for possible use in tissue engineering. Its applications are to build living organs and body parts. Layers of living cells are deposited onto a gel medium which slowly builds up to form three dimensional structures. This field of research has been termed as organ printing, bio-printing or computer-aided tissue engineering. I’m surprised that no one has called it “playing God”. The thought that 3D printing could be the means for producing abundance, excites me. High quality metal parts or tools could be mass produced and then donated to relief efforts or developing communities. Taps, tools, light fixtures, cutlery, hip replacements, 3D models, cogs, prosthetics and nuts and bolts could all be mass printed. 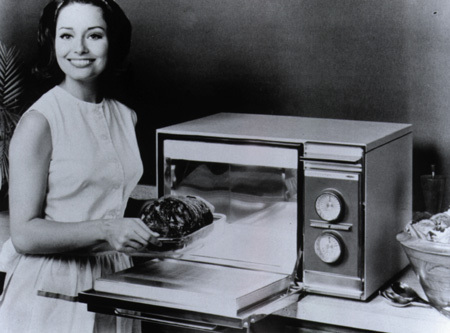 Gone are the dreary days of the assembly line; 3D printers could even run overnight while the goods cook in the oven. IF you were offered an alternative society to the one we currently live within — one that could provide (not promise) a dramatic drop in poverty, a higher level of health care, a rise in education levels and a more functional society, would you fight for it? Would you fight for a self-sustainable system that supports recycling and renewable energy, and, most importantly, holds human concern in the highest regard. Even if you currently live a relatively comfortable life at present, you’ll at least be aware of all the suffering and violence that persists in the world around us, the increasing levels of stress, illness, poverty, crime and the growing gap between the “haves” and “have nots”. You may even understand that poverty and inequality are the central causes of crime and aberrant behaviour. Every human being does the best they can to survive and live the highest quality of life possible. The sad reality is that the highest quality of life currently achievable, in technological terms, is lived by a miniscule portion of the global population — less than one percent. This is an embarrassment for the human race which is capable of so much more. And you needn’t blame particular people for our current state of affairs, but you can certainly blame the dominant systems in place that influence such thinking and behaviour. Every cultural paradigm is likely to assume that they are at the apex of civilisation. What’s more likely is that future­ generations will look back and cringe at the way we once lived. Society is on the brink of revolutionary change, which I sincerely hope happens while I’m still alive to enjoy it. I have never been more convinced that the meaning of life is spending your time on this Earth, contributing in whatever way you can, towards improving it — creating a heaven on Earth so to speak. The attitude that “that’s just the way it is” and perhaps believing that everything will be okay when you die, is not only unhealthy, but painfully unproductive. Every educated person should understand that we are in a continual process of social evolution; that the current state of affairs and systems in place are by no means finite. We are all simply doing our best to live within them. However, as global unrest rises, as inevitable economic collapse continues and as we grow increasingly fed up with our political systems, change, too, is inevitable. This belief system and these radical, almost­ utopian-sounding ideas, are portrayed in a simple manner by a film that is fast becoming a global phenomenon­. Zeitgeist Moving Forward is the third film by director Peter Joseph, who has been placed in the media spotlight several times in the past few years. The film illustrates the current global state of affairs — the systems that govern our living, thinking and behaviour. But rather than just offering a bleak outlook on life as we know it, Zeitgeist­ Moving Forward proposes practical solutions to creating a better life on Earth for all to benefit from. The central idea is that of a resource-based economy — one where resources, sustainability, technology and efficiency are at the forefront. It proposes that global stock-takes and surveys be undertaken to assess where the greatest needs exist and then acting on this information. There is far more to the film that can be illustrated here. I can only encourage you to watch it for yourself and draw your own conclusions. It is being freely distributed on the Internet and the entire film can be watched on Youtube. Advocates are even encouraged to make copies of the film and distribute them freely. Since Zeitgeist Moving Forward launched on Youtube in January, it has seen over 200 000 views a day and has now passed the four million mark. Responses have been predominantly favourable and it is likely to break a world record as the most viewed film in the shortest period of time. With the amount of support that the movement is seeing, it would be erroneous to think that nothing is going to come of it. We needn’t fear for the future. We can all collectively create a world where the relative success of a country is not measured by GDP, but happiness; a world where we do not have to worry about when out next pay cheque is coming­; where we are not divided by education or financial wealth and status­; and where self-worth is not measured by status and material gain, but rather by our contribution towards creating­ a better world in which to live. THEY say necessity is the mother of all invention. While this may be true during times of war and famine, etc., many inventions were conceptualised while the inventors were sitting on the toilet or trying to prevent their ice cream from melting. It’s rather interesting to consider how many life-changing inventions were discovered entirely by accident. Here are a few inventions that came about in unusual ways. Mr Crum, a chef in Saratoga Springs, New York, was having a tough day at the office. 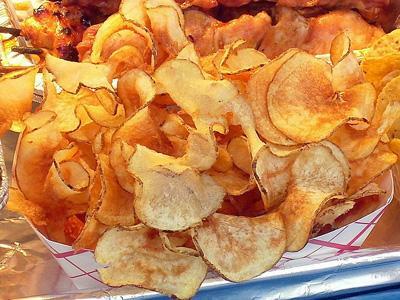 A patron, who had ordered a plate of fried potatoes, kept sending them back asking for them to be thinner and more fried. Crum eventually lost his temper. He sliced the potato so thin that it went rock hard when fried. To his surprise the disgruntled customer really liked them and kept asking for more. 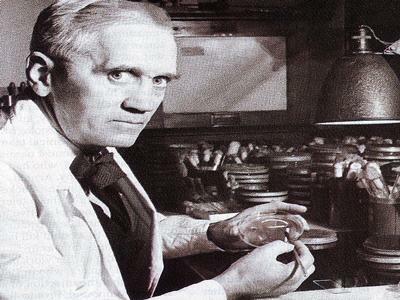 Sir Alexander Fleming knew nothing about penicillin until he threw away his experiments and equipment. He was working on a wonder drug to help cure diseases and was having a tough time of it. It was when Fleming noticed that a contaminated Petri dish he had discarded contained a mould that was dissolving all the bacteria around it, that the powerful antibiotic, penicillin, was discovered. The slinky has got to be one of the most unusual toys that had a darker side behind its invention. Naval engineer Richard­ Jones was working on a meter designed to monitor power on naval battleships. Jones was using tension springs when one of them fell to the ground and continued bouncing from place to place. 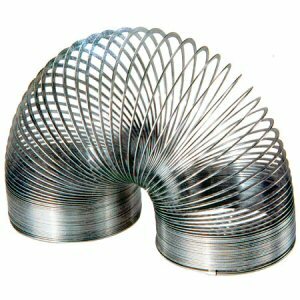 And so the slinky was born. Norwegian inventor Ole Evinrude was enjoying a holiday with his wife on an island during the summer of 1906. He had made an eight-kilometre round trip to get his beloved some ice cream during a hot summer’s day. Upset that the ice cream had melted before his return, he begun to ponder how he could get across the water faster. 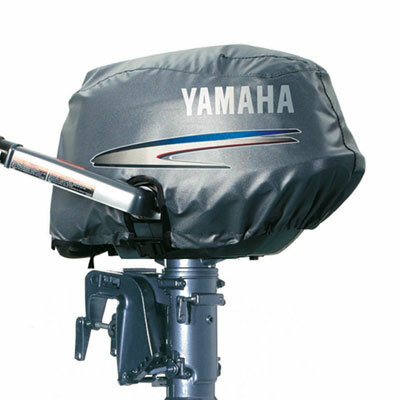 By mounting a motorcycle engine onto the back of his rowboat and attaching a propeller, Evinrude had invented the first outboard motor. Percy Spencer was an engineer conducting a radar-related research project with a new vacuum tube. During his experiments he noticed that a chocolate bar in his pocket had begun to melt. When he placed popcorn seeds into the machine and they began to pop, Spencer knew he had invented something revolutionary. The Kellogg brothers, Will and John, were simply making a pot of boiled grain when they discovered a pot that had been accidently left on the stove for several days. The mixture had turned mouldy, but the product that emerged was dry and thick. 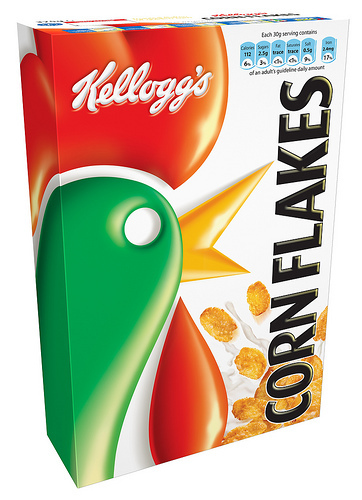 Upon removing the mould, the brothers had created one of the U.S.A.’s favourite breakfast cereals. 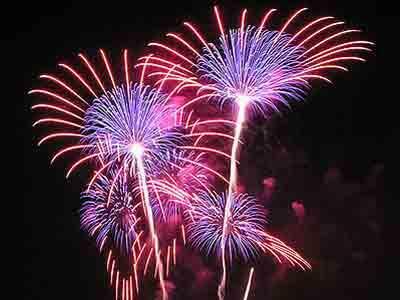 While we all know that fireworks were invented in China, their creation is somewhat uncertain. According to legend, a cook was experimenting with charcoal, sulphur and saltpetre, which are believed to have been common kitchen items 2000 years ago. When the cook noticed that a combination of these ingredients ignited with fury, he mixed them into a bamboo tube. The rest, as they say, is history. Roman Cage Cup from the 4th century A.D.
Around 100 BC European cultures started to become increasingly fond of their favourite drink, wine, as they perfected its creation and associated it with wealth and prosperity. The beautiful colour of wine, its taste and scent became such an obsession that the Romans­ started to discover better ways to preserve their fermented elixir. Thus, glass entered our world, and resulted in a chain of invention that is still being advanced today. Glass led to lens grinding and spectacles, meaning that intellectuals and scientists had an extra 15 to 20 years of reading and active life. Microscopes came into play, which led to the discovery of micro-organisms, including the discovery and behaviour of the bacterium. On a larger scale, telescopes gazed outwards, allowing humankind to further its knowledge of our galaxy and the Earth’s place within it. And because glass is chemically neutral — meaning that it doesn’t react to anything that’s in it — chemicals could be mixed in glass beakers and flasks. This advanced chemistry and modern medicine to new levels. This is not to mention plasma computer screens, cellphones, light bulbs, windows, windscreens, clocks and watches, glass domes and spaceships. Glass valves have become essential in modern electronics too and can be found in several household items that don’t have a particularly glassy feel. And all because Europeans enjoyed their wine. Meanwhile, on the other side of the planet, one of the most inventive people to have ever lived, the Chinese­, were quite content with the teacup. They had no interest in Western wine and used paper and ceramics as glass substitutes. Chinese windows and lanterns were all made from paper­ and the potential of glass was never recognised­ in the East due to their preference for tea. So from the 14th century right up to the 19th century­, glass did not exist in the Eastern part of the world. While the Chinese did go on to invent a myriad of other things, it can be argued that not inventing glass held back the course of Chinese history. Of course a lack of glass did not stop the Chinese from going on to invent other things. We have them to thank for paper, printing, gunpowder, the compass, archeology, automatically opening doors, hydraulics, the bristle toothbrush, landmines, fireworks, the fishing reel, kites, the crossbow, playing cards, porcelain, the rudder, tofu, toilet paper, the wheelbarrow, and of course, China. Yet the thought of what may have been invented if glass has existed in China for those 500 years is staggering. The world as we know it could be a lot different today if things had panned out differently. We might all be speaking Chinese and drinking tea. IT’S clear that we are firmly in the age of digital technologies. No doubt each year will bring new and exciting gadgets to the table that will make today’s ones seem so last year, but it’s good to take stock of where we are today and how far we’ve come. With a quest to develop all-in-one gadgets, the market has been saturated with digital devices that can all do pretty much the same thing. It seems to be more about brand name and style than anything else. 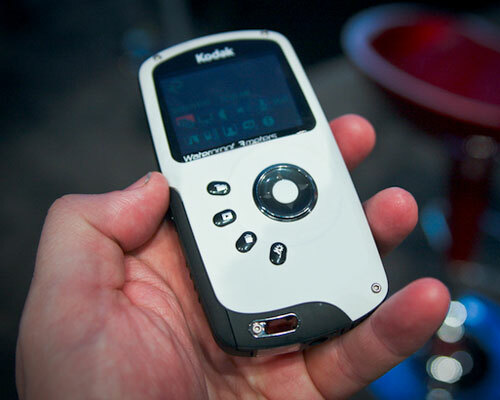 What follows is a list of some of the top gadgets of 2010. Although tablet PCs are not new to the world, Apple tends to take things a few strides further and did so with the release of the Apple iPad. 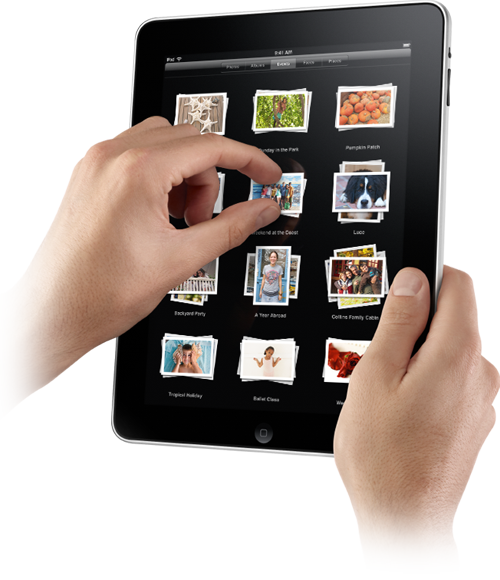 Capable of behaving like a laptop, media player, Internet browser, e-reader, game station, camera, photo album and more, the iPad really is an all-on-one digital device. The iPhone was hailed as a revolutionary mobile that not only looked good, but could do more than you could ever ask of a phone. It is certainly one device that will be continuously upgraded and enhanced thanks to its eager fan base. 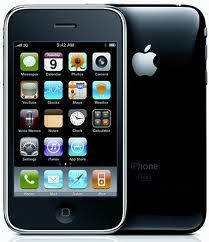 The iPhone 4G boasts the sharpest, most vibrant, highest-resolution screen on the cellular market today. GPS devices may be so last year, but what the latest models can do almost makes one gawk at satellite technology. 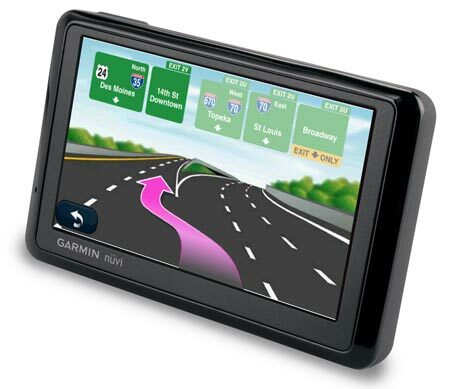 This particular GPS not only comes with lifetime map updates, but features an enhanced user interface, ecoRoute (which suggests fuel-efficient routes), pedestrian navigation and the new public transit mode, which allows you to navigate using buses, tramway, metro­ and suburban rail systems. 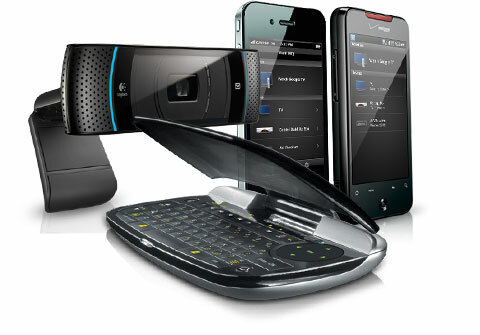 Although not quite mainstream yet, at least not in South Africa, Logitech Revue­ essentially allows you to connect your TV and satellite cable with a high speed Internet connection via Ethernet or Wi-Fi to bring you Google TV. Switch between regular broadcasts and online content (specifically Google TV) at will. Use a keyboard to search for your favourite shows or surf the Internet on your TV; or use your iPhone 4 as a TV remote. 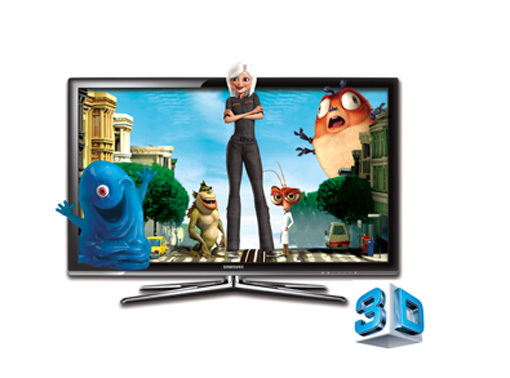 3DTV has boomed this year with the release of several films in 3D as well as newer 3DTVs to enjoy watching them at home. I always speak highly of Samsung screens and this particular 3DTV has got to be one of the slickest on the market. As thin as a number two pencil, this TV will do 3D right out of the box. With the explosion of 3D films and new 3DTVs this year, it won’t take long before consumers will want to start producing their own videos in 3D. 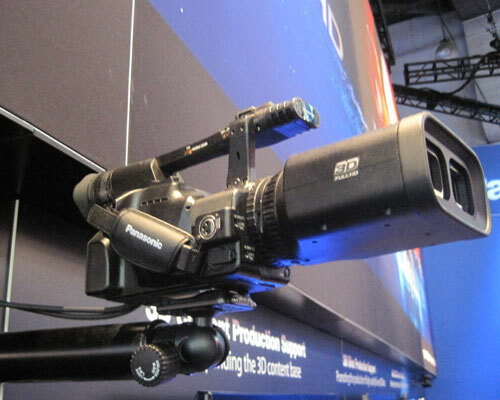 Panasonic has been hailed as the first to bring 3D video to the consumer level with this camcorder, although it will set you back about R150 000. E-Readers have certainly come into fashion this year, and although one can use an iPad or iPhone as an e-reader, the Nook Colour features a 17 cm touch screen and comes in full colour — perfect for children’s books and magazines, as well as enhanced books and newspapers. 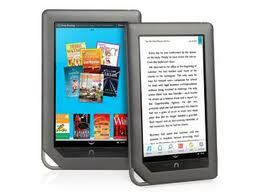 The Nook can also be used to surf the Internet, listen to music and play games. It’s an e-reader the whole family can enjoy. 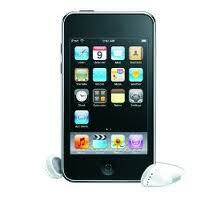 Ipods are not just about listening to music­ anymore. Video chatting, filming and sharing HD video, playing games and listening to music are all doable with the forth, and not last, Apple Ipod Touch. 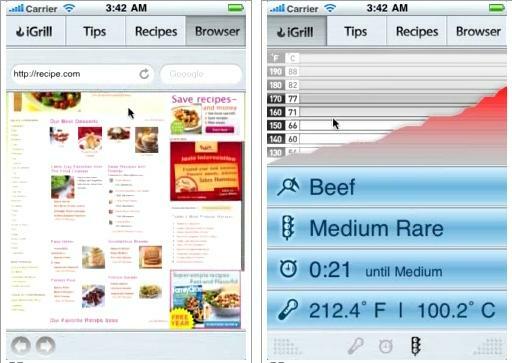 A new gadget for the kitchen, this iGrill meat thermometer will connect to your iPhone via Bluetooth so that you can check the status of whatever meat you’re cooking from any room in the house. With a range of 60 metres and capable of registering up to 200°C, you’ll able to keep an eye on dinner while taking a bath. The PlaySport is a durable camera for the outdoors type. It’s drop-resistant, and waterproof and can be dragged around the world without worry. Strap it to your body before scaling a mountain or skiing down a slope and capture all your adventures in high quality video­. ADVERTISING is an interesting field in the evolution of human society. Adverts have the power to play on our wants and desires subtly and subconsciously, and can effectively make use buy things we really don’t need. I love a good and clever advert. I often find myself studying their techniques rather than focusing on what they’re trying to sell. However, as clever and intuitive as advertisers may be, the truth is that no one really knows what will sell. I’m sure we’ve all had great invention ideas that might have made us filthy rich at some stage in our lives. Mine is being able to phone your keys when you lose them. As far as I know, this could be achieved by simply installing a SIM card and speaker into your key bundle. It’s only function would be to ring whenever the assigned number is called. Wouldn’t that be bliss? If you are the inventive type please feel free to steal my idea and make your millions. I won’t press charges. I’m fairly certain that something like this doesn’t exist on the market yet else we’d all be phoning our keys from time to time. Otherwise here are some other product ideas that could have made you (or someone) a fortune. Most of them are quite practical and I’m sure many have actually made it to the shelves. I just wish we could find them locally. Enjoy!